ST. Mabon’s Church, Llanfabon rebuilt with just a few remains of the old Medieval building kept. Whitehall Golf Club, The Pavilion, Nelson, Treharris, estimated year it was opened. 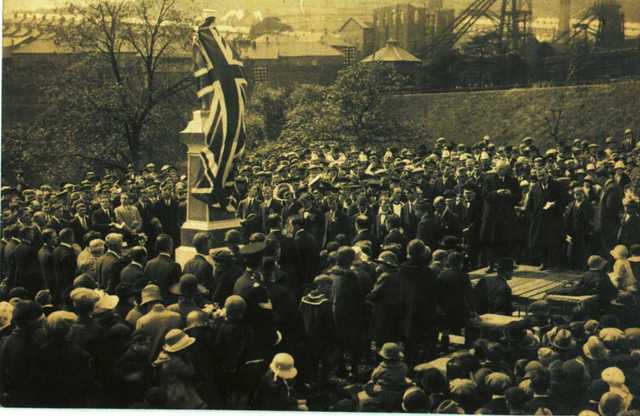 May 31, a proud day for Trelewis as a union Jack was unfurled to reveal the war memorial on Captains hill. 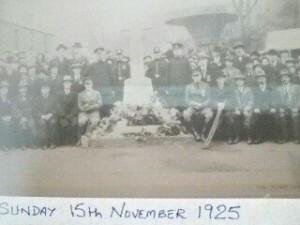 Bedlinog War memorial was also unveiled on 15th November that year. Setting-up of Spencer’s Union, the South Wales Industrial Union is set up at Taff-Merthyr Colliery. Many miners opposed this union in favour of the south Wales miners Federation. Treharris Library clock is erected in memory of the men and women of this ward who served and fell for the cause of humanity in the Great War 1914-1918. Associated with the clock are two war memorial plaques.One for each of the World wars. June, the re-dedication of the Trelewis war Memorial in its new home at the centre of the village. Work begins on the new Health centre, located above Railway Terrace, just below the Boys and Girls club.